anyone watched the network hashrate of cryptcoin during this last 2 days? Large buy orders being placed and hash rate increase. Someone(s) preparing for something big. Large buy orders on mintpal or cryptsy? cwis/asoom/whatevernameyouchoosetoday: I was on irc last night for 4 hours. Just had a convo with shack and logged off 30 minutes ago. I don't know what your problem is. Maybe if I was 15 I would understand, but I'm not. You are now the 2nd person I'm placing on Ignore in over a year. I rarely do it, but you have nothing to offer the thread. I recommend everyone else do the same. Wonder how much more patience people will have. [15:24] <Bumba> MrKK, can I ask you another question. You confirmed to me that you were a teammember. Since when are you on the team? [15:25] <CptnShibe> MrKK, could you give us some reason on why you, as the CRYPT team, do not show presence anywhere and are not giving updates at all? 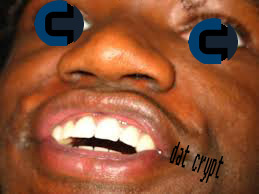 I assume you guys hold lots of crypt too.. I feel old around here. His senior brunch pics are from 2009. So he's about 22-25 depending on how many grades he had to repeat. tru. Didn't look that deep but yup, it appears that is more correct than the event dates. Is this Attious and his hot model sister?